Looking to recycle household items and keep them out of landfills? 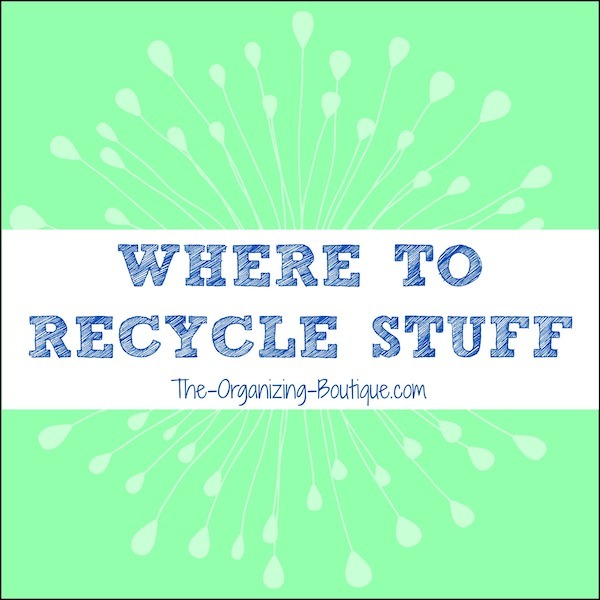 Check out these easy ways to recycle and our directory of amazing resources! Fill out the form on this page to find recycling locations in your area according to what type of item you are trying to recycle. Check out the list below of where to recycle things categorized by the type of item as well as the checklist for recycling paper. Find Local Recycling Centers - one of our favorite resources to recycle household items! Recycle, Earn Points, Get Rewards - easy way to recycle for money!!! Free yourself from the paper monster! Half of the battle of organizing paper files is knowing what to discard. This list will get you started. PLEASE NOTE: ANY TAX-RELATED PAPERS SHOULD BE KEPT! Take car batteries to a local retailer that sells them.